Should Puerto Rico Be a State? Customize your own map of Puerto Rico with our 1-Page Map. Teachers, scroll down for a quick list of key resources in our Teachers’ Toolkit, including a link to today’s MapMaker Interactive map of the territories of the United States. 2016 presidential hopeful Jeb Bush, along with many politicians of both parties, has supported the the movement to make Puerto Rico the 51st state of the United States. Puerto Rico is now classified as an “unincorporated territory” of the U.S. What is a territory? How is it different from a state? Some territories have big populations, such as Puerto Rico and Guam, while others are totally uninhabited, such as the Midway Islands. Many U.S. states were territories before they became states: the Alaska Territory, the Hawaii Territory, the Dakota Territory (which became two states). Does the U.S. have any other unincorporated territories? Take a look at today’s MapMaker Interactive map for some help. Yes! The United States has claimed territories sprinkled throughout the South Pacific Ocean and the Caribbean Sea. 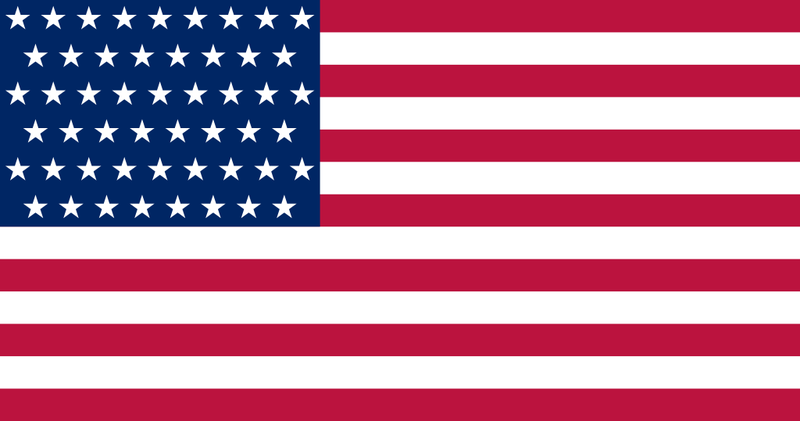 Here is one example of what a 51-state flag might look like. Illustration by Jacobolus, courtesy Wikimedia. Public domain. What reasons do Jeb Bush and other supporters offer for Puerto Rico becoming the 51st state in the U.S.? Debatepedia has some pro/con questions to help you think about the issue. Puerto Ricans themselves voted for statehood in 2012. Puerto Rico is already a part of the U.S., and has been since the 19th century. Puerto Ricans are U.S. citizens, carry U.S. passports, and serve in the U.S. military. What are some reasons critics want to delay or reject statehood for Puerto Rico? Debatepedia has some pro/con questions to help you think about the issue. Spanish is the dominant language in Puerto Rico, while English is the dominant language in U.S. states. This creates a linguistic and cultural distinction. Puerto Rico has a lower per-capita income than the rest of the U.S. Admitting the state would burden the welfare system. Congress would have to change its rules or the representation of some states. Right now, there is a limit of 435 members of the House of Representatives. 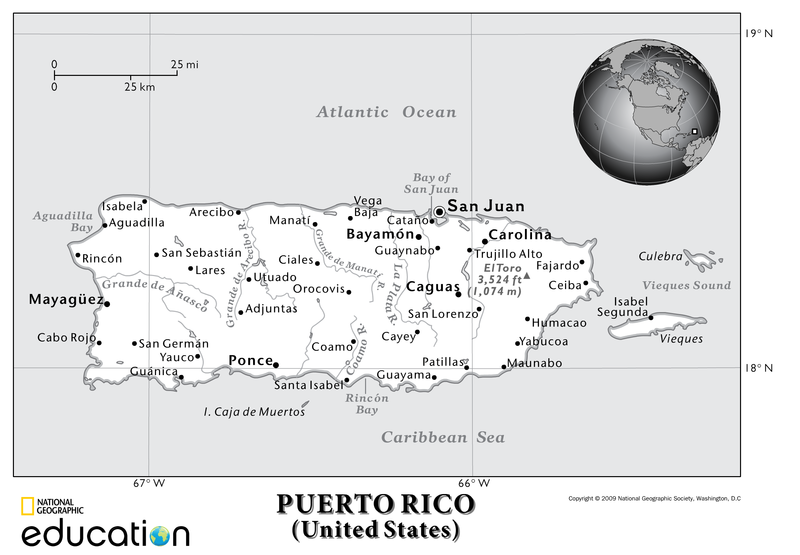 If Puerto Rico were to join as a state, it would have two Senators, like every other state, and (likely) five or six representatives, based on population. Congress would either have to change the rule limiting Congress to 435 members or reduce the number of other states’ representatives to allow for Puerto Rico’s new members. Are any other territories working to become U.S. states? Some supporters have suggested that Puerto Rican statehood include the nearby U.S. Virgin Islands. Washington, D.C., is a federal district that has had a strong statehood movement since the 19th century. There is a movement to unite the scattered inhabited and uninhabited territories of the U.S. in the South Pacific (such as Guam and the Northern Mariana Islands) as a single state. Debatepedia: Should Puerto Rico move for US statehood? Should the US accept it? It’s amazing to go to see this site and reading the views of all colleagues regarding this article, while I am also keen of getting familiarity. Next Next post: Hang Out with Big Cats Explorers from National Geographic’s Big Cats Initiative!